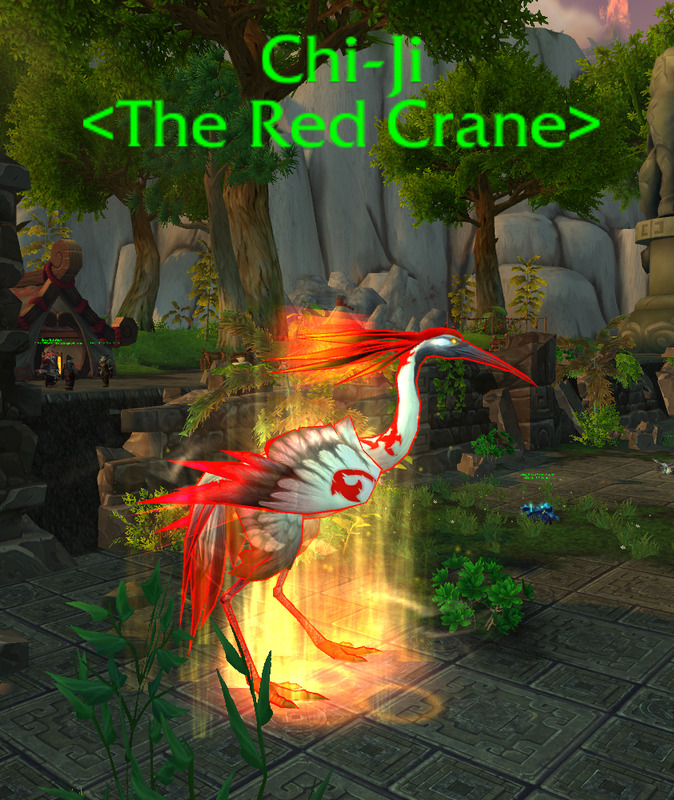 Chi-Ji is one of the four Celestial World Bosses located on the Timeless Isle. The loot table is shared between all four Celestials, so you can only receive loot from one Celestial per week. Firestorm: Simple enough to avoid. Beacon of Hope: Creates a pale yellow circle in the vicinity that significantly reduces AoE damage taken. Blazing Song: Deadly AoE cast. Crane Rush: Miniature versions of Chi-Ji will spawn out in a fan-like pattern from the boss and run in a straight line. Ranged won't have much of a problem avoiding the cranes, while melee can move to the center of the boss' hitbox to avoid the adds.